Despite repeated warnings from their parents, the kids from South Park cannot stay away from the latest Terrence and Philip epic comedy. When the movie causes changes in Kenny, Kyle, Eric and Stan that includes tirades of obscene language, their parents lash out at the filmmakers and their home country of Canada. 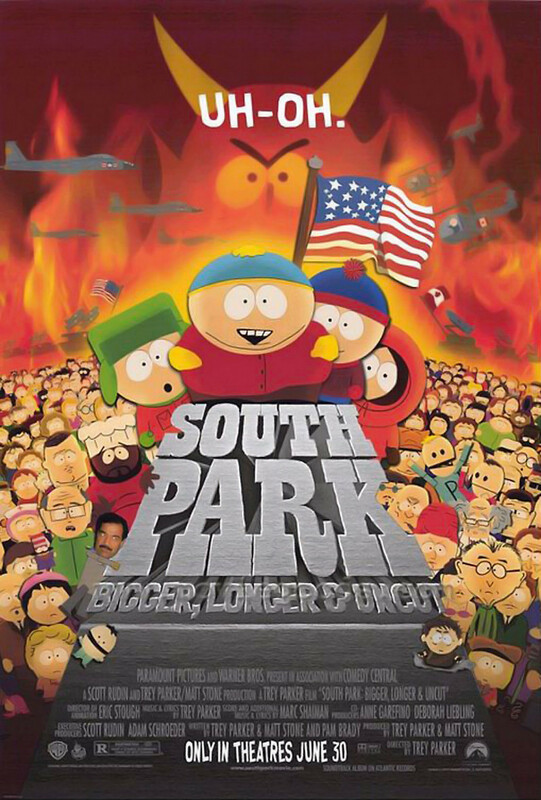 When all out war against Canada erupts, the South Park kids go to work trying to stop the war and save Terrence and Philip. The war has also inspired Satan and his companion, Saddam Hussein, to rise to the surface of the Earth and conquer the human race. As usual, the band of four little boys from the small mountain town have the answers that will save the day and get Terrence and Philip's movie back on the silver screen.